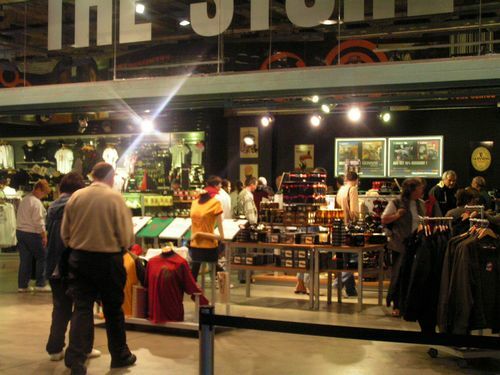 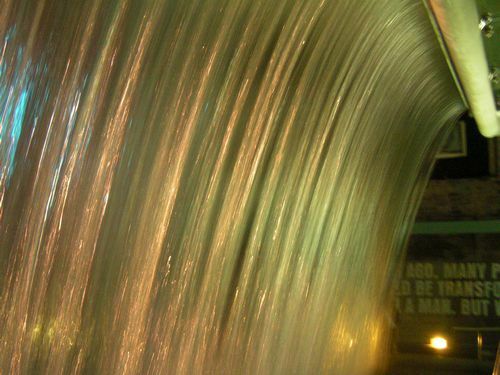 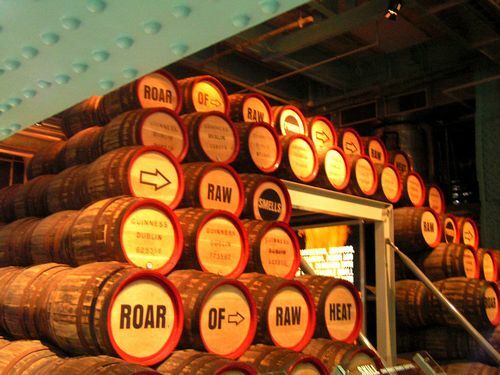 The Guinness Storehouse is probably the most popular tourist attraction in Dublin, if not the whole of Ireland. 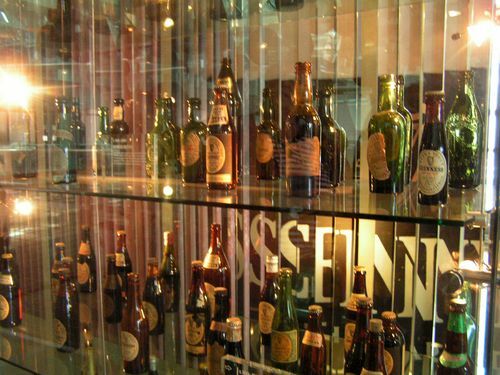 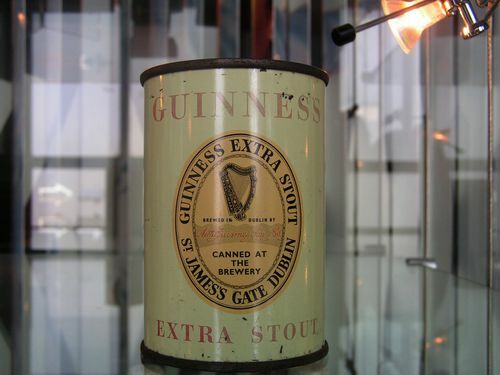 Inside the place is jam packed with all sorts of Guinness related items from barrels, huge vats, threshers, advertising material used over the years, different Guinness bottles and cans, and of course lots of information on the history and brewing of Guinness. Although the building runs over a number of floors, getting around is no problem as there are escalators and lifts for access between floors. Your tour is self guided but there is plenty of information stops with audio displays (in a number of languages). 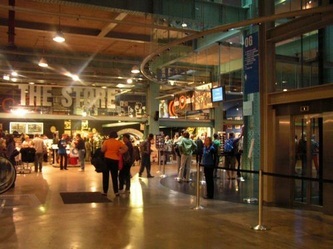 Large groups (over 10) can arrange a guided tour. After you have looked around you can stop off and have a meal in the restaurant where a number of dishes are available including, when we were there, Beef & Guinness stew which was excellent. 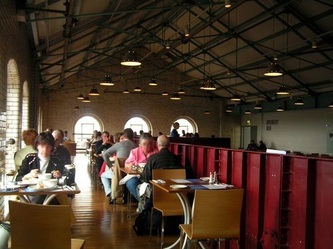 (There are now three restaurants/cafes). 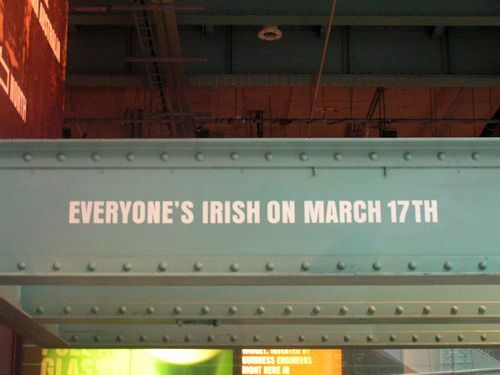 Your entry fee includes a complimentary pint of Guinness (over 18s obviously!) which you can either drink in the restaurant with your meal or maybe in "Arthur's Bar" or else in the Gravity Bar at the very top of the building. 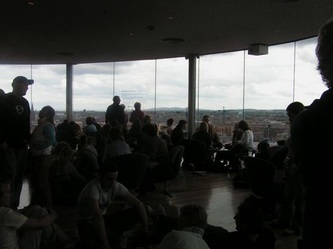 The Gravity Bar enjoys spectacular 360 degree views across the city through almost floor to ceiling glass panels. 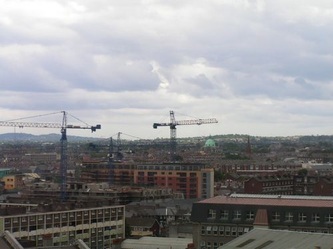 (See photos of the Gravity Bar and views below). 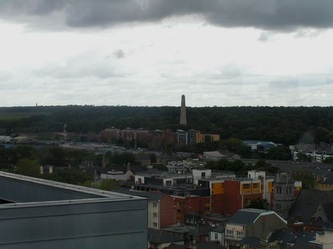 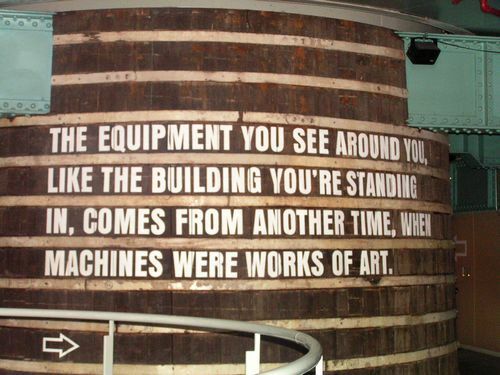 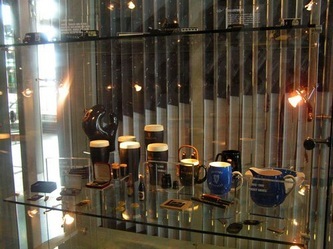 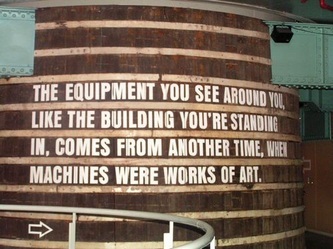 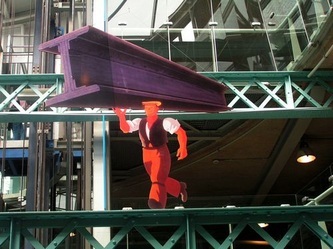 Scroll down to view photographs of the Guinness storehouse (click on any of the photographs to enlarge). 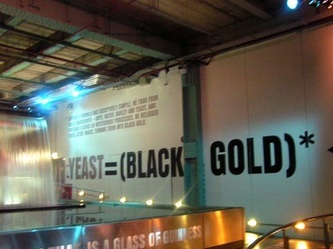 A pint of "the black stuff"! 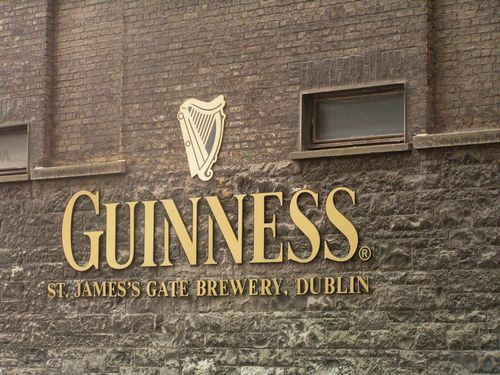 1759 Arthur Guinness, aged 34, signed a 9,000-year lease on a disused brewery at St. James's Gate, Dublin for an annual rent of £45. 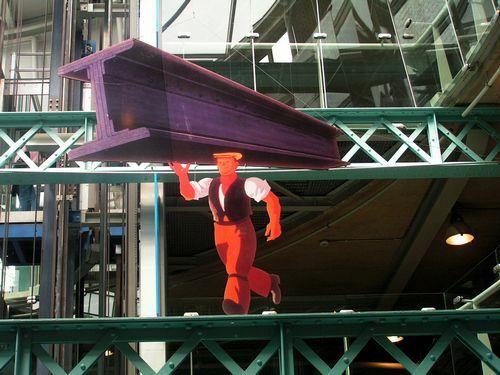 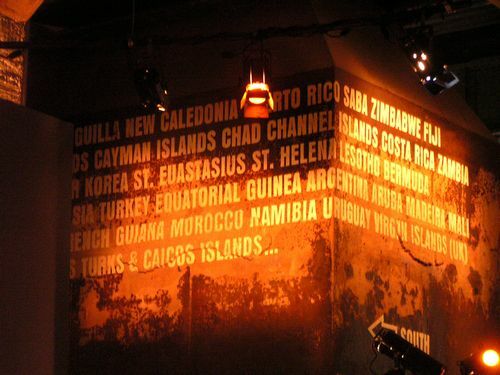 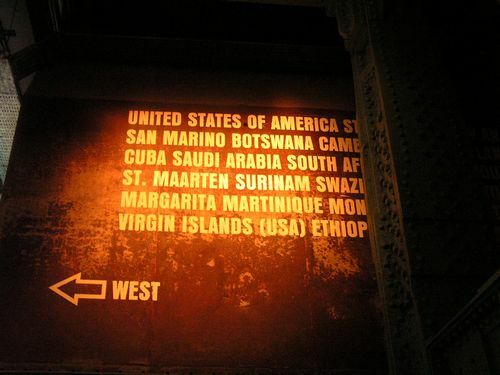 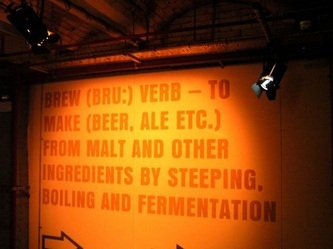 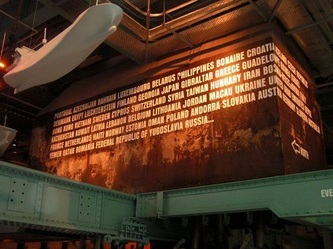 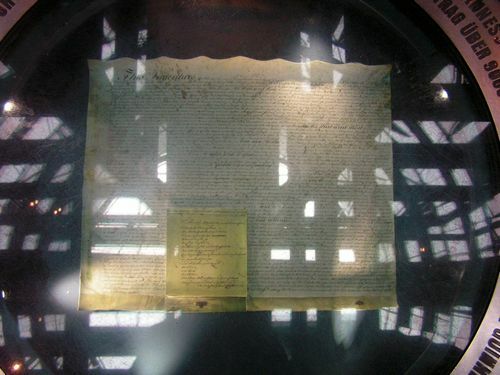 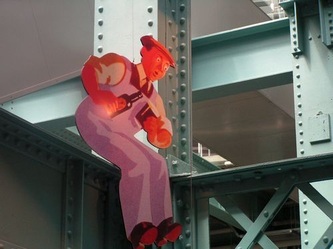 (You can see part of this original Lease in the Guinness Storehouse ~ see photo below). 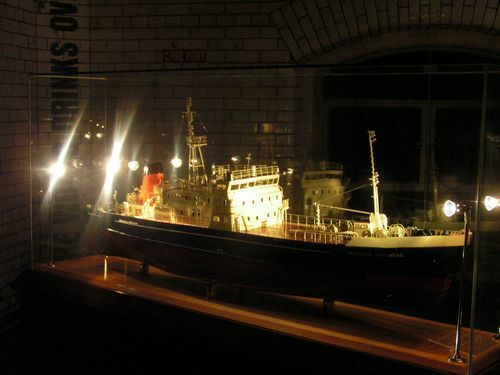 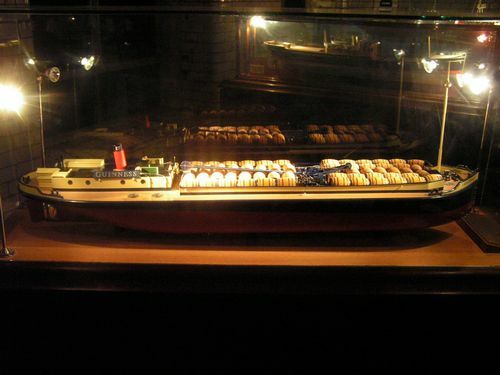 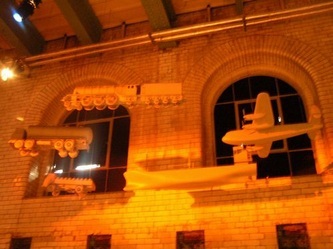 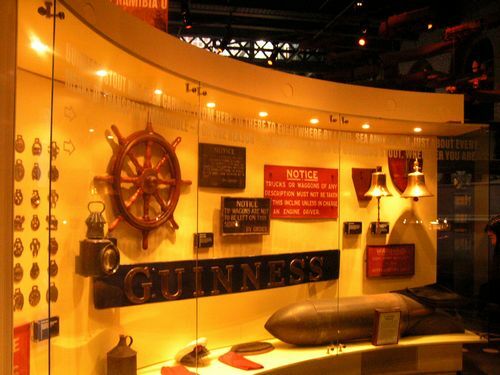 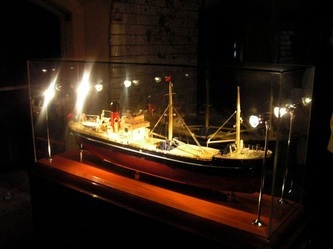 1769 The first export shipment of six and a half barrels of Guinness stout left Dublin on a sailing vessel bound for England..
(You can view old barrells and models of the boats in the Guinness Storehouse ~ see photos below). 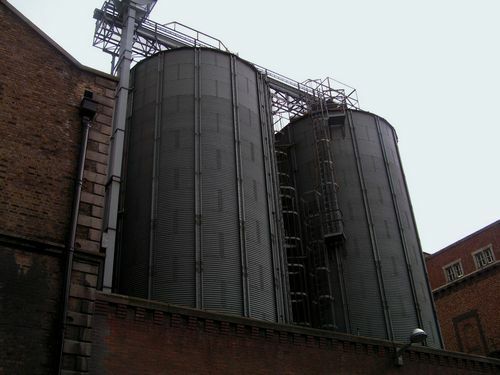 1775 Dublin Corporation sheriff sent to cut off and fill in the water course from which the Brewery drew its free water supplies. 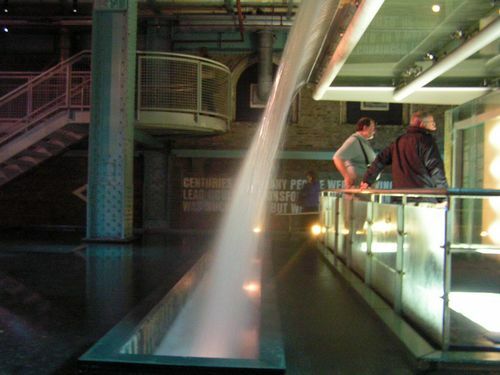 Arthur defended his water by threatening the party with a pickaxe. 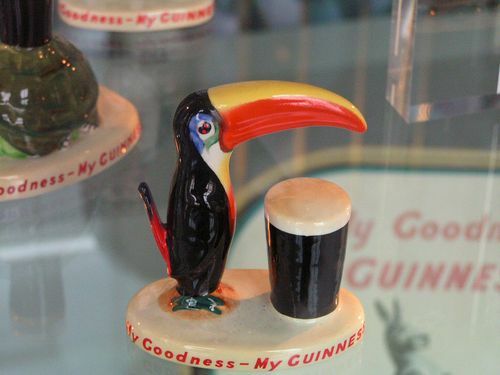 1801 First record of brewing of Guinness variant West India Porter – made with higher hop rate to withstand long sea journeys (hops are natural preservative). 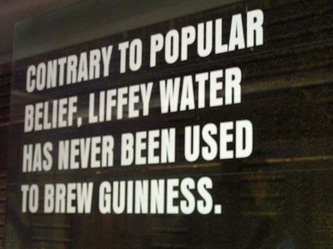 Precursor of modern day Guinness Foreign Extra Stout. 1803 Arthur Guinness died aged 78 and his son, Arthur Guinness II, took over the Brewery. 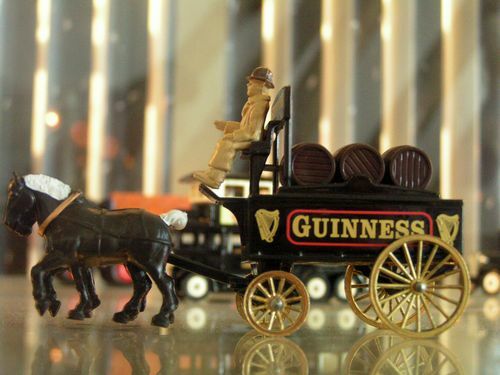 1815 Guinness well known on the Continent – legend states that Guinness aided the recovery of a cavalry officer wounded at Battle of Waterloo. 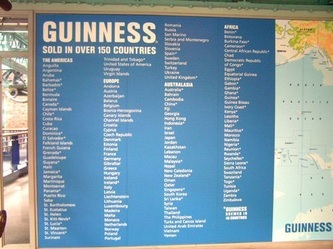 1824 Guinness well known worldwide. First known advertisement printed in a Dublin newspaper for “Guinness’s East & West India Porter”. 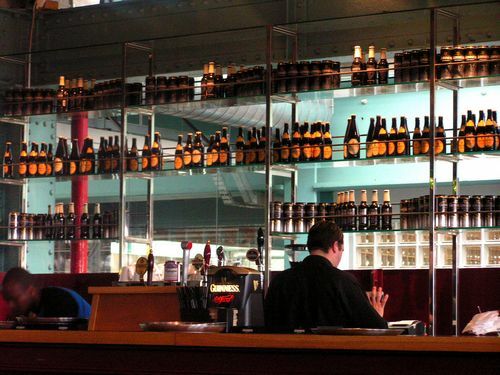 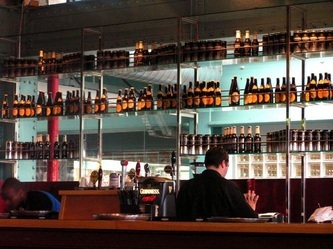 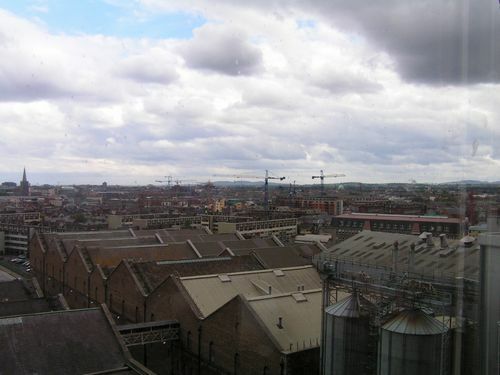 1833 Brewery became the largest brewery in Ireland. (In 1914 it was the largest brewery in the world). 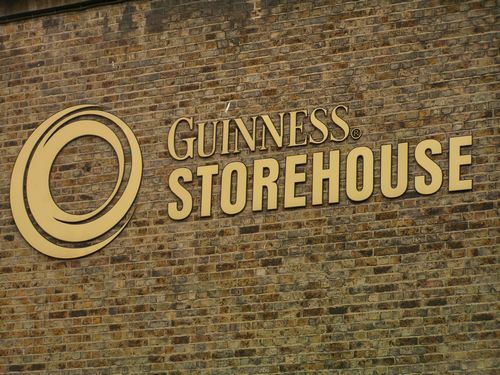 1850s Sir Benjamin Lee Guinness, son of Arthur Guinness II, took over the Brewery on the death of his father. 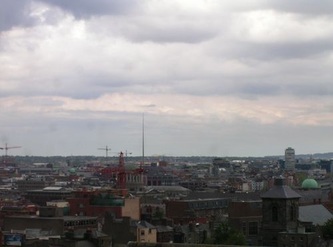 Sir Benjamin Lee became a Member of Parliament for Dublin City and also served as Lord Mayor of Dublin. 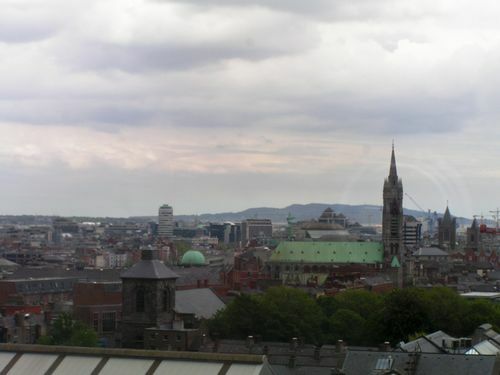 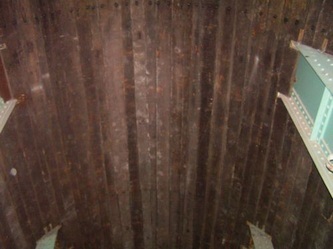 Among his charitable deeds, he contributed £150,000 towards the restoration of St. Patrick’s Cathedral, Dublin. 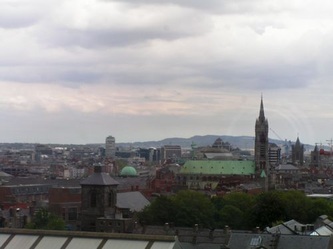 (St. Patrick's Cathedral is the place where Jonathan Swift (Gulliver's Travels) was Dean from 1713 until his death in 1745. 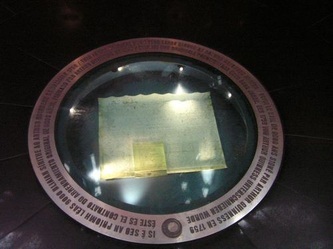 He was buried inside the Cathedral and a plaque marks his final resting place there). 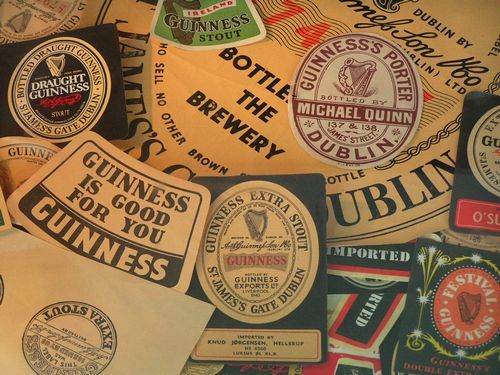 1862 Guinness trademark label was introduced - a buff oval label with the harp and Arthur Guinness’ signature. 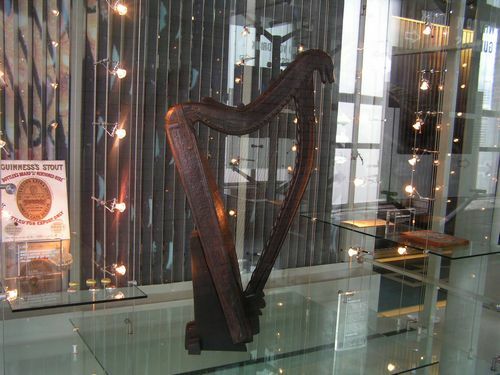 The Harp was registered as a trademark in 1876. 1868 Benjamin Lee Guinness died and his son Edward Cecil took over the Brewery. 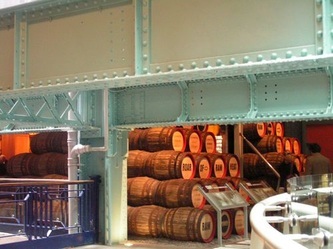 1869 Under Edward Cecil, the size of the Brewery doubled to over 50 acres and spread north to bound the river Liffey to accommodate new Brewery buildings linked by an internal railway system. 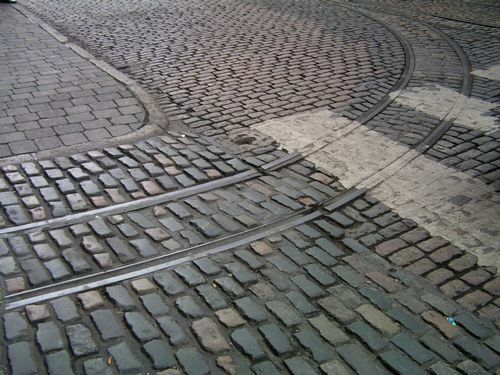 (See photo below showing some of the railway tracks, still there, running over the cobbled roads). 1886 Guinness became the first major brewery to be incorporated as a public company on the London Stock Exchange. 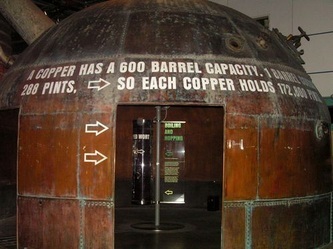 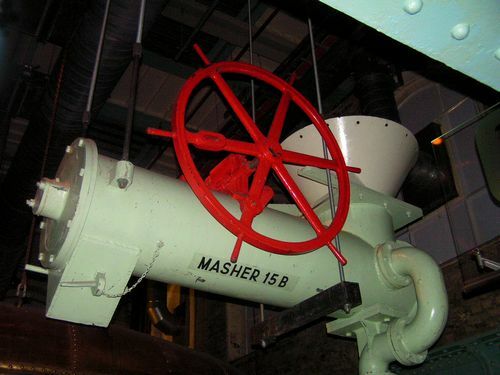 It was the largest brewery in the world with an annual production of 1.2 million barrels. 1893 Robert Louis Stevenson brought supplies of Guinness to Western Samoa and wrote about drinking a pint while recovering from influenza. 1890s Edward Cecil appointed the first Lord of Iveagh and established the Guinness and Iveagh Trusts to provide homes for the poor in Dublin and London. 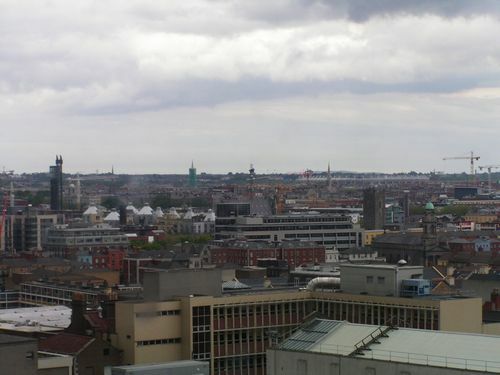 He made substantial contributions to Trinity College Dublin and Dublin hospitals. His brother Arthur landscaped St. Stephen’s Green, Dublin and gave it as a gift to the public. (The design of St. Stephen's Green, a park in the centre of the city is based on the design of Central Park, New York, U.S.A. 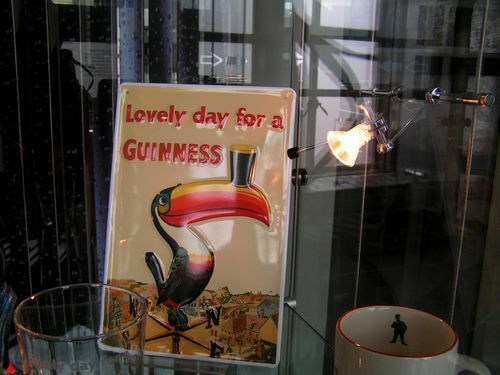 There is a statue of Lord Ardilan (Arthur Edward Guinness 1840-1915) in St. Stephen's Green. To view a photograph of this statue together with more on St. Stephen's Green, click HERE). 1898 “World traveller” appointed to report on quality and sales of Guinness in overseas markets in North and South America, Africa, Far East and Australia. 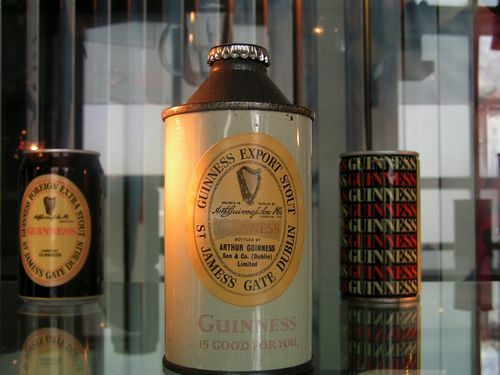 1909 Guinness brought to the frozen wastes of the South Pole. 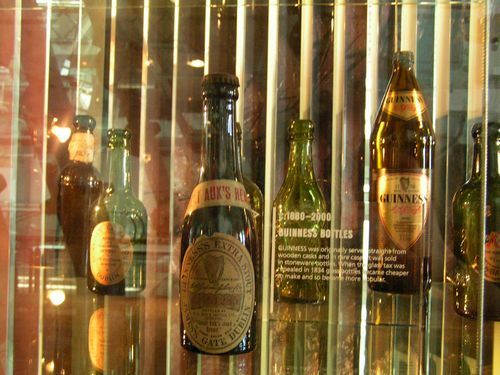 Sir Douglas Mawson, the Australian explorer, left some Guinness behind at his base camp, which was discovered by another expedition in 1927. 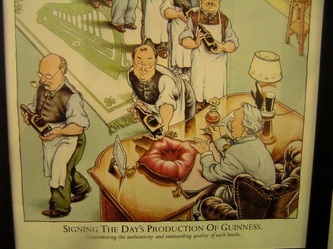 1927 Rupert Guinness succeeded his father, Edward Cecil, as Chairman of the Company. 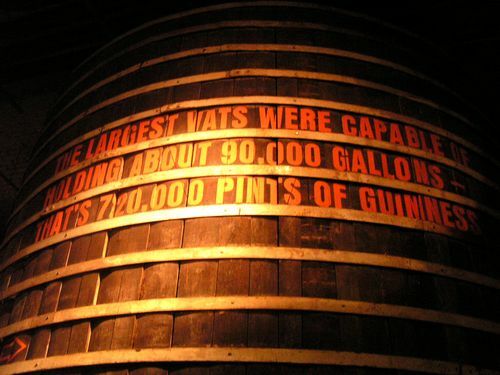 1929 2 million pints of Guinness are sold a day. 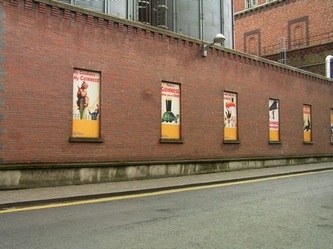 First ever Guinness advertisement with the slogan “Guinness is Good For You” published in the British national press. This was soon followed by advertisements featuring the cartoon characters created by John Gilroy. 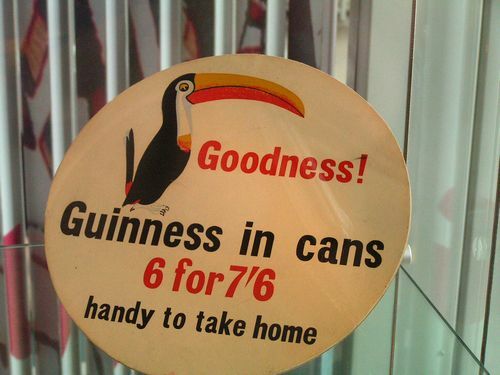 His famous series of posters of the distraught zookeeper and his mischievous animals carried the line ‘My Goodness, My Guinness’. 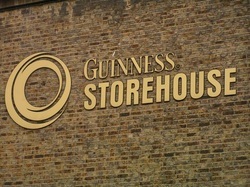 1936 First Guinness brewery outside Dublin built at Park Royal, London. 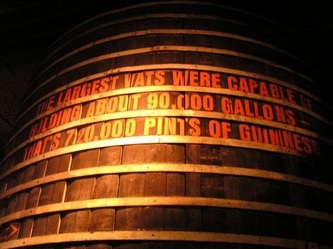 1955 First Guinness Book of Records was published. 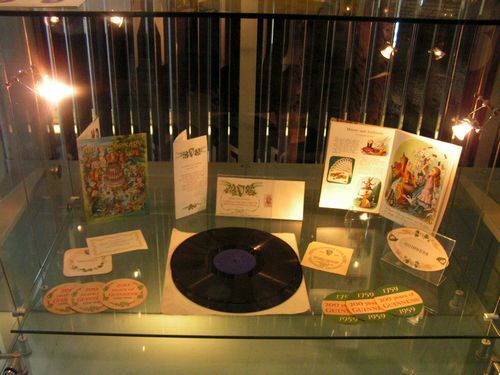 (The Guinness Book of Records remains one of the best selling publications in the world having sold over 115 million copies). 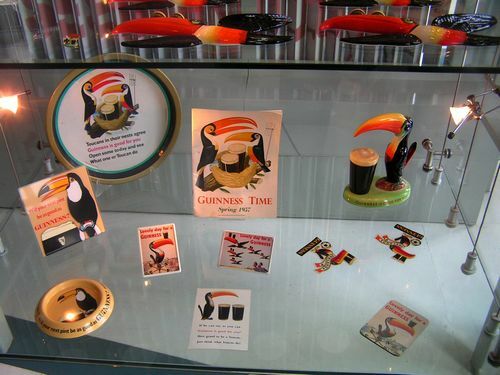 1959 Draught Guinness first introduced. 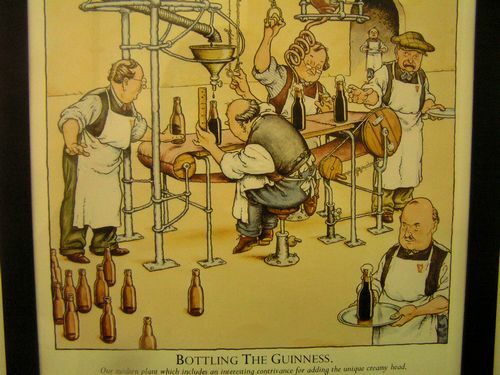 (Prior to this, Guinness was sent out in barrels and once at their destination, the Guinness would be bottled by the publican at their premises). 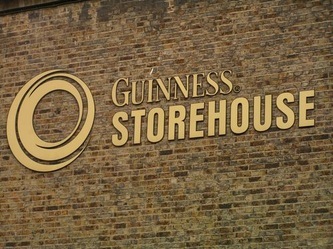 1962 First Guinness overseas brewery outside the British Isles was opened in Nigeria. 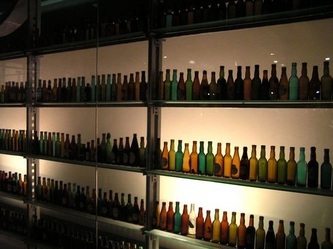 Breweries in Malaysia, Jamaica, Ghana and Cameroon followed. 1988 Draught Guinness in a can launched, using a widget to recreate the creamy surge. Won the Queen’s award for technological achievement in 1991. 1999 Guinness Draught in Bottle launched. 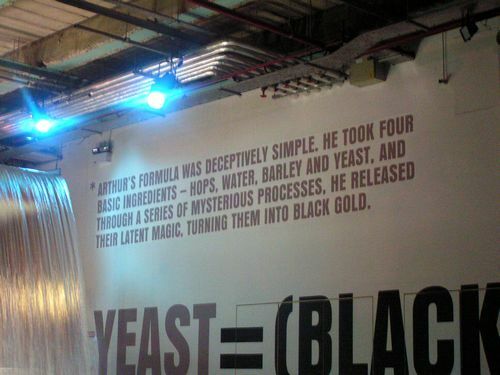 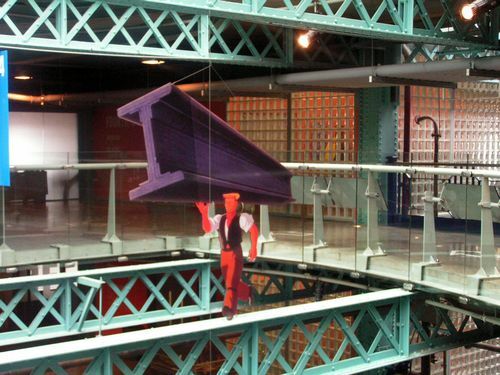 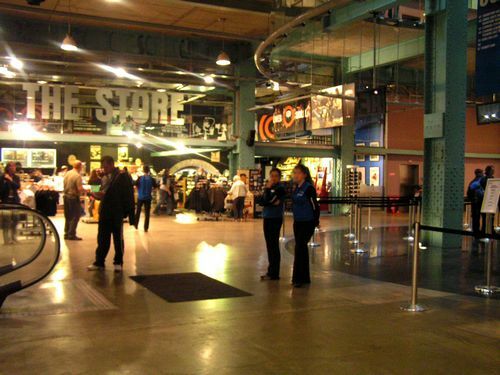 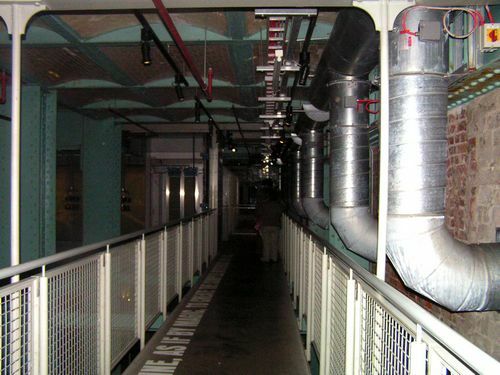 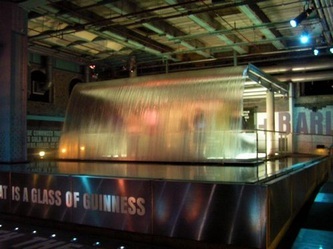 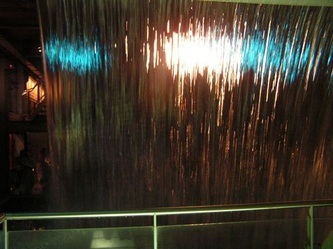 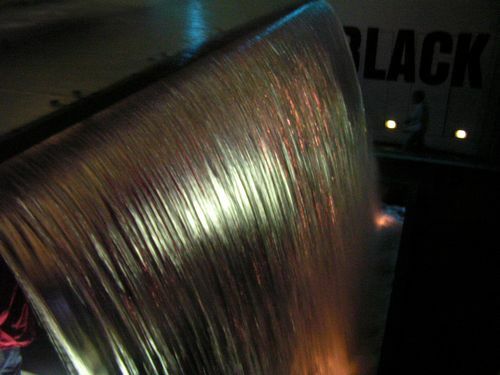 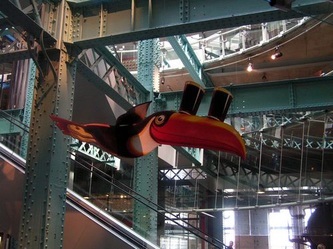 2000 Guinness Storehouse, Home of Guinness, opened to the public. 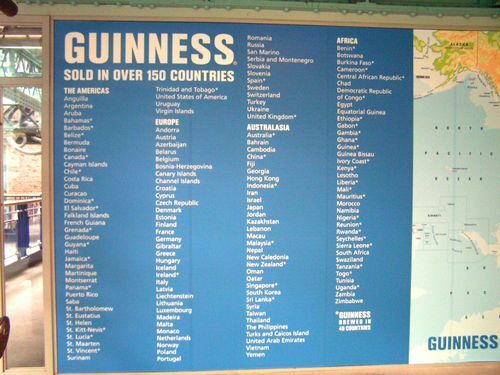 2008 10 million glasses of Guinness are enjoyed in over 150 countries around the world.